Hotel Biohotel is a 3* hotel located in Metepec, Mexico. It features 24 rooms. Choose Hotel Biohotel and enjoy a pleasant stay at the heart of Metepec, a beautiful town located near Toluca, the capital city of the State of Mexico. 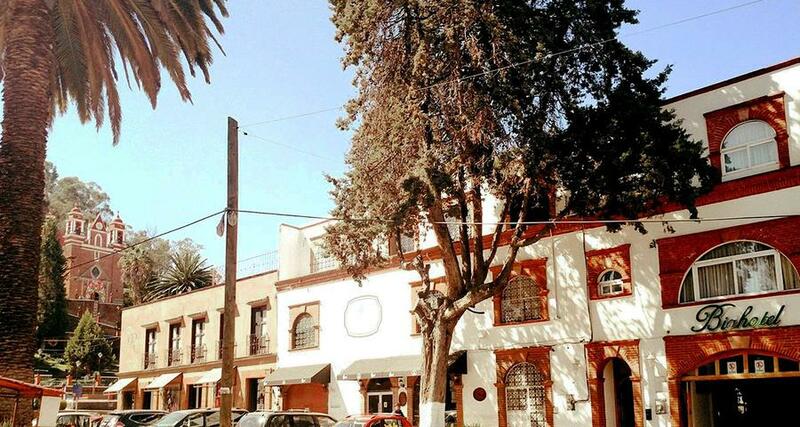 This property provides easy access to numerous local cuisine restaurants, artisan shops and various attractions, such as the chapel of Calvario Centro, the former convent of San Juan Bautista and the church of Tepeyac, on Los Magueyes Hill. The hotel offers a relaxing environment, personalized attention and cozy guestrooms equipped with Wi-Fi, cable television and toiletries. Hotel Biohotel also offers laundry service, a restaurant, meeting facilities and parking for your convenience.